This is the Aston Martin Vanquish S, a 201mph grand tourer that promises to cross continents with more speed, style and musicality than any other rival from Ferrari, Maserati or Bentley. Replacing the standard Vanquish, the Vanquish S uses an upgraded version of its naturally aspirated 6.0-litre V12 and generates 595bhp at 7000rpm, a 26bhp gain over the standard Vanquish. 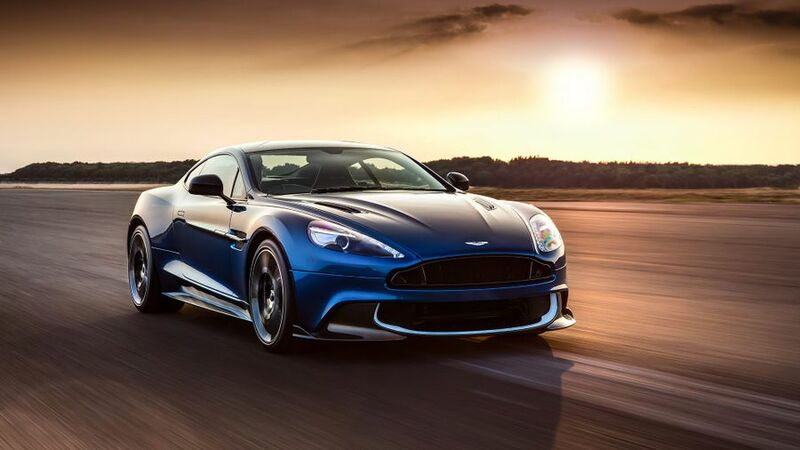 Thanks to an upgraded eight-speed automatic gearbox, the Vanquish S now accelerates from 0-62mph in 3.5secs, while under the carbonfibre skin, the suspension has been tweaked to offer sharper handling without compromising on long distance ride quality. There are new Vanquish S decals, new forged 5-spoke diamond turned wheels and some striking cosmetic upgrades that include a revised front splitter, bonnet vents, a rear diffuser and quad exhausts, replacing the standard car’s two. However, with prices starting from £199,950 for the coupe, it also serves to make the newer, more modern DB11 with 600bhp look like good value at £155,000. You’d need to be really desperate for natural aspiration to justify this additional outlay.